A 2013 Porsche Struck Car – Two Dead On Lake Worth Road Near Greenacres | Schuler, Halvorson, Weisser, Zoeller & Overbeck P.A. A crash involving two vehicles near Greenacres has killed two men. 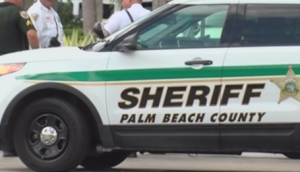 The crash happened when a 2013 Porsche struck a car and killed two men in Greenacres, the Palm Beach County Sheriff’s Office said. The crash took place north of Lake Worth Road and west of Haverhill Road. Juan Hernandez, 29, and Angel Xon, 47, both of suburban West Palm Beach died in the crash. They were passengers in a 2007 Honda CRV driven by Jame Avila, 43, who also sustained non-life threating injuries. The Porsche Panamera’s headlights were turned off when it sped into the intersection and ran a stop sign. Its front end had a “violent collision” with the rear of the passenger side of the Honda, investigators said in their crash report. The force of the crash threw Hernandez and Xon from the car. The sheriff’s office did not release a description of the driver. Authorities are investigating the crash. It was not immediately clear if drugs or alcohol played a role in the crash. The post A 2013 Porsche Struck Car – Two Dead On Lake Worth Road Near Greenacres appeared first on Traffic Center.